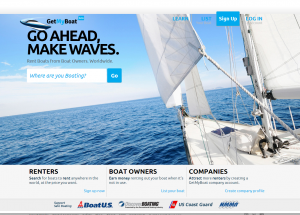 You are here:Home » Category: "Marine product launch"
Practical Boat Owner: The UK and Ireland are holding an event to find potential technology candidates to complete the Global Navigation Satellite Systems (GNSS) and counter threats to maritime safety. The event will be hosted at the Trinity House in London on 2 March 2016 by the Knowledge Transfer Network and the Royal Institute of Navigation and will explore the future maritime navigation of mix of technologies in 2030 and beyond to identify potential complements to Global Navigation Satellite Systems (GNSS). Its purpose is to present ways to protect marine environment, supporting economic growth and maintain safety of navigation in increasingly confined and congested shipping areas, and also to explore technologies that could complement GNSS for robust cost-effective navigation of ships in the future. Navigable sea space is set to shrink, with growing obstacles like marine conservation areas and wind farms. 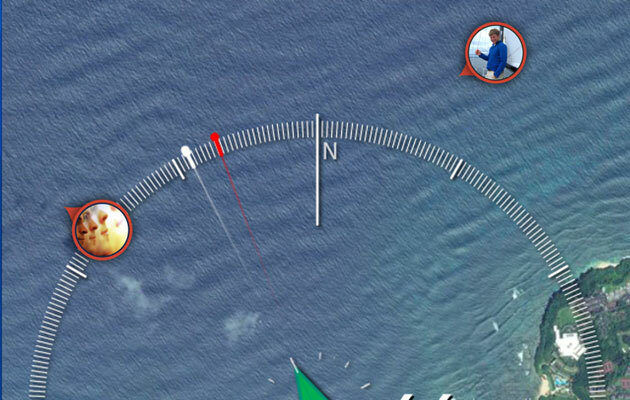 Therefore GNSS is likely to remain the primary source of navigation data, as it can be prone to interference and is not infallible. 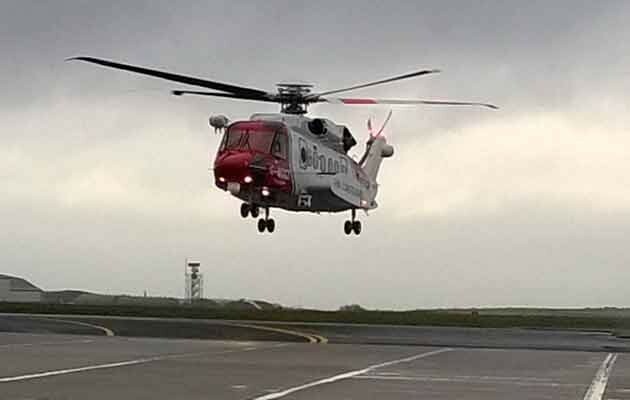 It is clear that there is a need for complementary technologies higher than ever to provide robust and reliable navigation data, combined with a rise in GNSS jamming incidents. 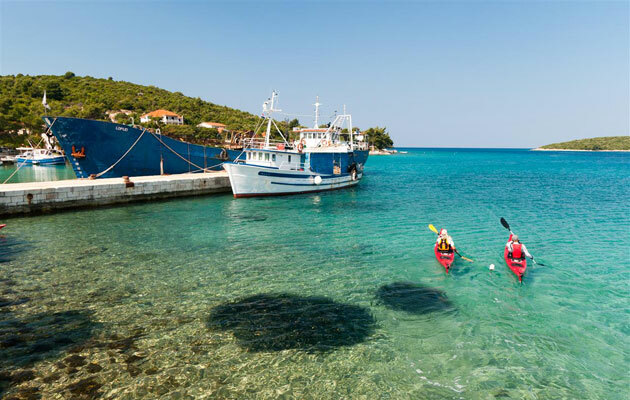 Yachting Boating World: Zizoo promises to ‘revolutionise sailing holidays.’ Zizoo, the boat booking website, launched in the UK market on the 5th October, as it unveiled a new long haul sailing collection including Caribbean, Indian Ocean and Thailand locations. 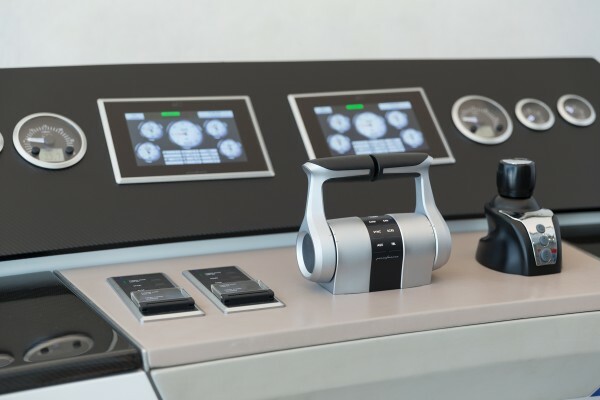 Yachting Boating World: Rolls-Royce is presenting the latest MTU propulsion systems and MTU bridge components at the Salone Nautico in Genoa. MTU supplies yacht propulsion systems and complete system engineering solutions from a single source. 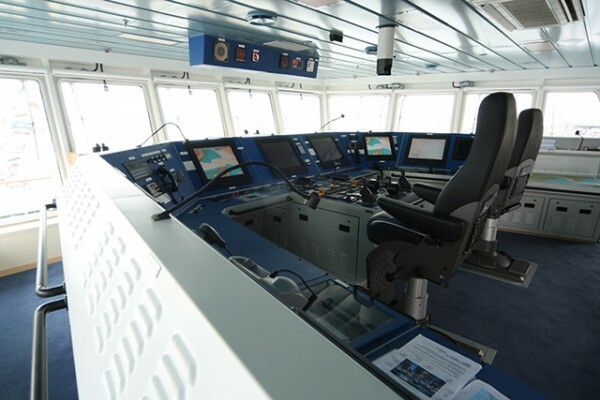 Shipyards are frequently supplied with an engine and gearbox system with optimised interfaces that is fully monitored and controlled by an MTU automation system. For standard production yachts, MTU offers not only main propulsion units and gearboxes with outputs ranging from 261 to 4,300 kW, but also gensets for on-board power supply with ratings up to 280 kW, and emergency power generators. Motorboat & Yachting: Scottish yacht haven Campbeltown Marina has announced that it has complete a major upgrade of its facilities. 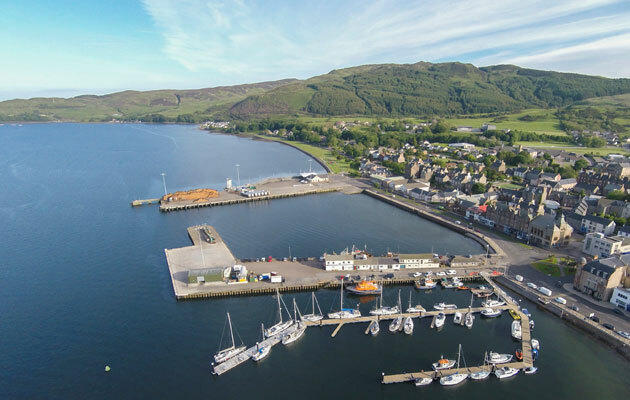 Boaters visiting Scotland this summer will be able to take advantage of the upgraded facilities at Campbeltown Marina (pictured above), which has recently completed an improvement project. The Argyll and Bute marina now offers 54 berths from a new U-shaped pontoon configuration that allows room for boats measuring up to 33-metres. Extensive dredging has also extended the basin area, which is fully accessible even at low tide. Situated on the sheltered east coast of the Kintyre peninsula, Campebeltown Marina also boasts a brand new shower and toilet block, as well as free Wi-Fi. Speaking in advance of the grand opening on June 27, marina manager Calum Lawson said: “I’m really looking forward to welcoming visitors to this fantastic new facility. “Campbeltown is a perfect destination in a prime location for a quick stopover or longer stay and can provide everything a visitor could require,” he added. Local attractions include six golf courses, the 100-mile Kintyre Way walking route and the Mull of Kintyre itself, as well as horse riding, fishing and diving. Rates at Campbeltown marina start from £15 per night for boats under 7m, while annual berths cost from £130 per metre. Yachting & Boating World: The Royal Southern Yacht Club was honoured on Thursday by HRH The Duke of Edinburgh. 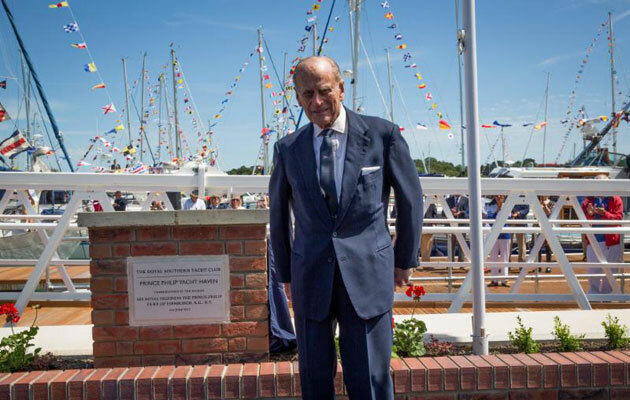 The Royal Southern Yacht Club in Hamble was honoured on Thursday by the presence of its patron, HRH The Duke of Edinburgh, for the commissioning ceremony of the newly completed Prince Philip Yacht Haven. Three years ago, His Royal Highness graciously lent his name to the project that transformed the club’s waterfront and returned yesterday to view the completed development for the first time. Accompanied by the Vice Lord-Lieutenant of Hampshire, Mrs. Lindsay Fox, Prince Philip was welcomed to the Royal Southern Yacht Club by its commodore, Mr. Christopher Mansfield, before meeting flag officers and members of both the Royal Southern and its neighbour, the Royal Air Force Yacht Club, a partner in the waterfront project. Later, His Royal Highness met the chairman of the group responsible for the Haven development, past commodore Mr. Mark Inkster, and its members, together with representatives of the Hampshire-based contractors who had worked on the project, before unveiling a commemorative plaque and taking lunch with members. The 8-month building project has included the construction of a new quay wall, a capital dredge to give full tidal access, a new slipway and re-positioning pontoons to create enhanced berthing facilities for members and visitors. The Haven includes a much needed disabled persons access, an ecologically sound ‘living wall’ for invertebrates and, overall, the development will provide added flood protection to the village of Hamble. Commodore Mansfield commented: “The Prince Philip Yacht Haven would never have been completed without the unstinting generosity and tolerance of Members, who deserve our unreserved thanks. The Royal Southern Yacht Club has enjoyed Royal patronage since its formation in 1837. A Member for 67 years, H.R.H. The Duke of Edinburgh was gracious enough to accept an invitation to become admiral of the club in 1952 and became its patron in 2002. 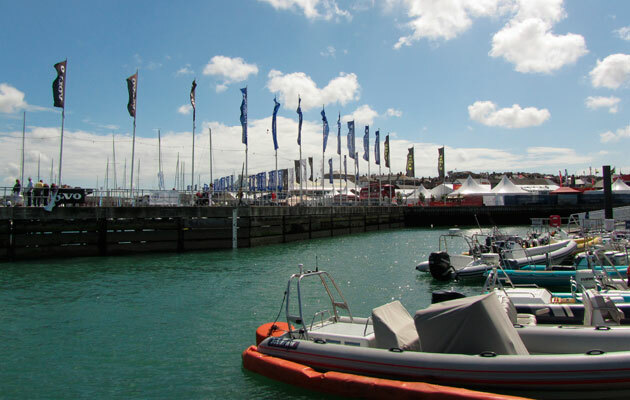 Motorboat & Yachting: Isle of Wight marina Cowes Yacht Haven has been added to the TransEurope network, following the completion of a major dredging project.